In this imaginative retelling, John Pritchard explores the Gospel of Luke by looking through the eyes of the disciple John. 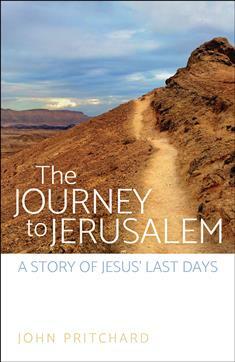 The Journey to Jerusalem follows Luke’s account from Luke 9:51, as Jesus “set his face to go to Jerusalem.” Perfect for individual or group study, The Journey to Jerusalem provides weekday readings for Lent, from Ash Wednesday to Good Friday, along with a poem for each Saturday. Questions for reflection and discussion are also included.